Here at Dynamics Air Conditioning & Heating Mechanical Service it has been our pleasure to offer the highest level of comfort control for the Sicklerville, NJ community for years. Our foundation consists of efficient, reliable and cost effective heating, air conditioning and indoor air quality products. From start to finish, our experienced estimators, project managers and technicians provide the expertise to ensure your project in the Sicklerville, Williamstown, Berlin and area is completed on time, on budget and up to code. We understand that service interruptions are an inconvenience and cost you productivity so we focus on providing expedient services to get you back online as soon as possible without risking the safety of your valuable equipment. We are also absolutely committed to safety and provide ongoing education to our personnel to ensure complete compliance with the best practices and standards. 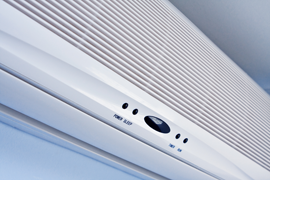 Dynamics Air Conditioning & Heating Mechanical Service goes beyond the heating and air conditioning equipment to look at the whole house as a system. This enables us to solve comfort, indoor air quality and high utility bill problems others can't, and to ensure that new high efficiency equipment performs as close as possible to its laboratory rating. Dynamics Air Conditioning & Heating Mechanical Service has served its customers with a commitment to service and value. We have the experience and expertise to get the job done right the first time. Our skilled professionals use only the finest tools and materials. We provide personalized service and affordable service rates. Dynamics Air Conditioning & Heating Mechanical Service provides Sicklerville, Williamstown, Berlin and surrounding area with and many other services. We specialize in residential HVAC services and commercial HVAC services to customers. Our technicians look at the air tightness, insulation, ductwork, and equipment in every Sicklerville, Williamstown, Berlin area home and design a customized solution that improves airflow, air quality, overall comfort, and lowers utility bills.